And while this updated version is super yum, with the addition of milk chocolate chips and coconut, what I want to point out is my new favorite way to deal with large batches of cookie dough. 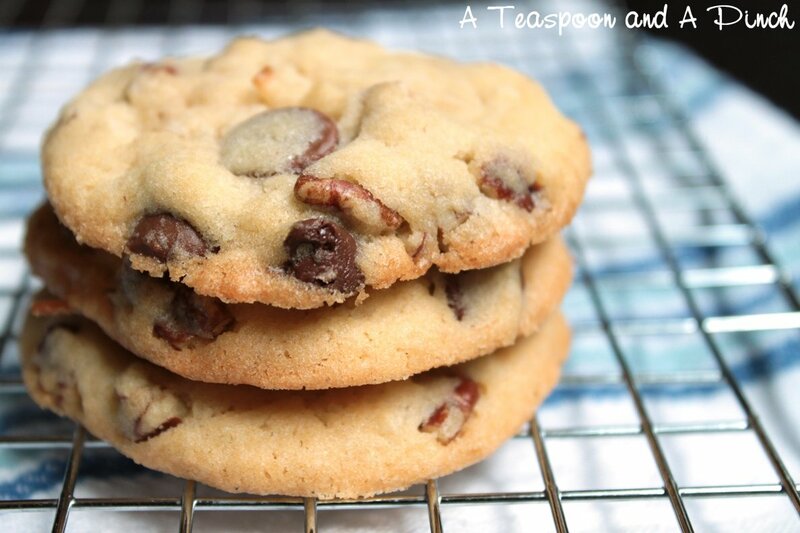 Typically, I bake up the entire batch, and store the cookies in a container. And then end up eating an embarrassing number all on my own, because I can't ignore the siren song of a cookie. But, now I freeze the raw dough into handy bricks of nine cookies. Kinda like what you see in the grocery store, but entirely homemade. Hurrah! In the photos below, you'll see that I scooped out nine cookie dough balls into a group, froze them, and then packaged them up into freezer bags. 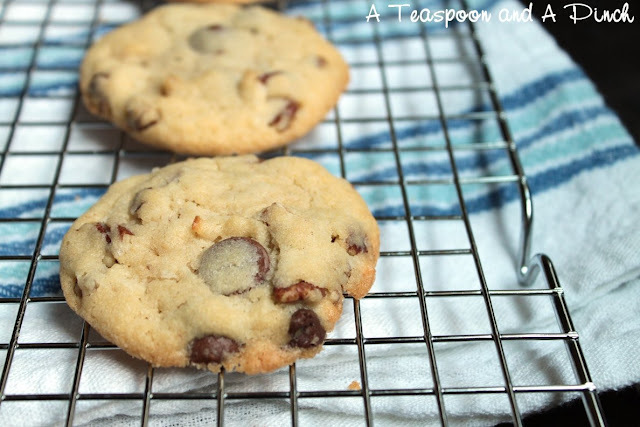 When you want to bake them, break apart the dough balls and place onto a parchment-lined cookie sheet. Allow to thaw 15 minutes (basically the time it takes to preheat your oven), and then bake as usual. It's like magic. Homemade, warm cookies straight out of the oven with zero work. You pretty much can't beat that, am I right? In a large bowl, cream together the butter, vegetable oil, sugar, brown sugar, and confectioners' sugar until smooth. Beat in the eggs one at a time, then beat in the vanilla. Whisk the flour, baking soda, cream of tartar, and salt in a separate bowl. Beat the flour mixture into the creamed mixture, 1/4 at a time, scraping down the sides of the bowl. Beat in the pecans, chocolate chips, and coconut. Dough will be a little sticky. Chill the dough for an hour, then scoop dough into balls and place 2 inches apart onto prepared baking sheets. Keep remaining dough refrigerated. Bake cookies for 10 - 12 minutes, or until the edges are golden. Remove from baking sheets to cool on wire racks. Makes 5 dozen. 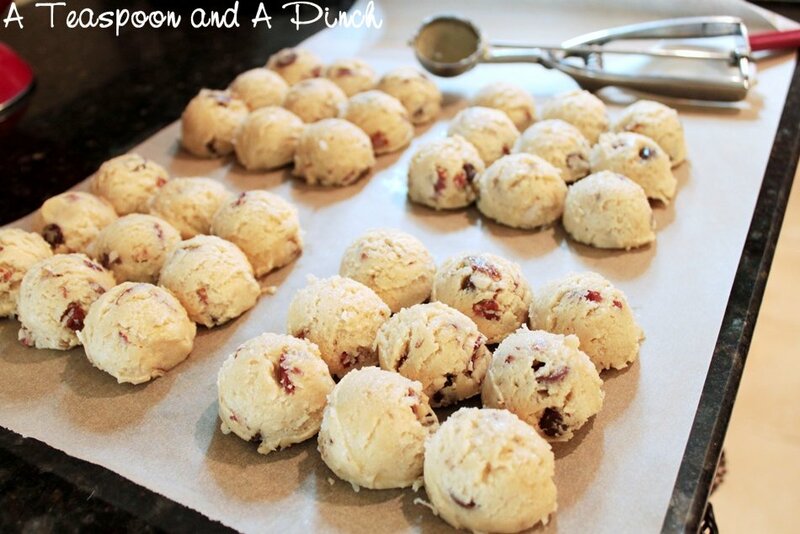 Use a cookie scoop to divide into evenly-sized balls on parchment. 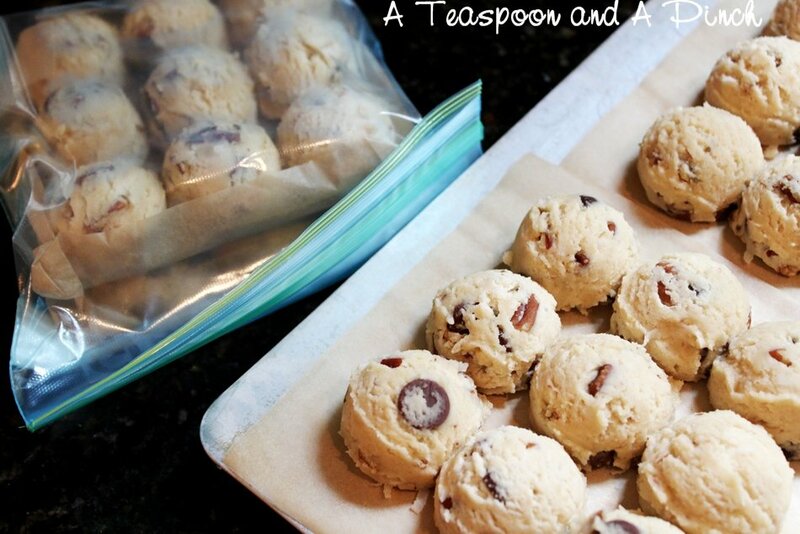 Place entire sheet of parchment on a cookie sheet into the freezer until dough balls are solid. Remove from the freezer and cut the parchment around each group. Place two groups per quart-sized bag and return to the freezer. 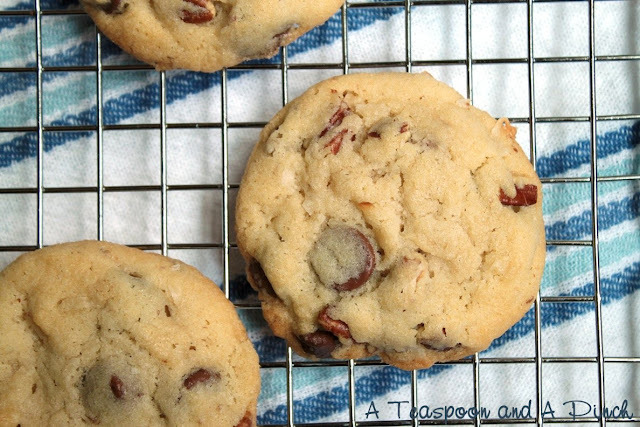 Break apart the dough balls and place on a parchment-lined cookie sheet. Allow to thaw for 15 minutes, while your oven preheats. Bake as directed above. So organized! Such perfectly sized scoops of cookie dough.